Sent about 2 months ago. Please check my autograph collection in FB (like it, share it). Thank you !!! Most wanted: Wentworth Miller, Paul Adelstein, Leonardo DiCaprio, Kate Winslet. Because he sends the same picture for almost 10 years. 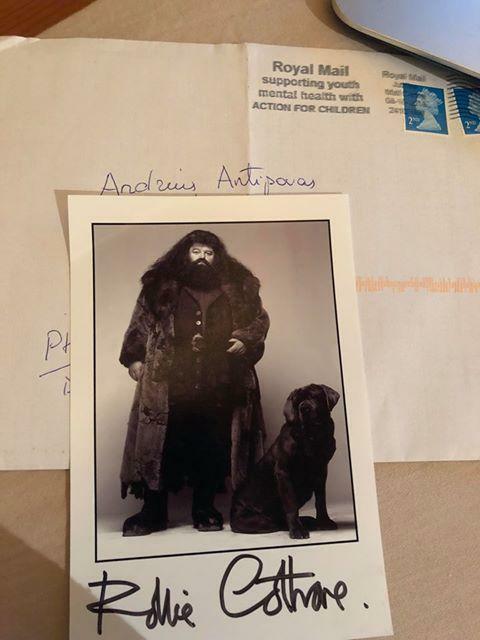 You can also google "Robbie Coltrane autograph" and see what happens.